Loomstate !Act Natural! Blog: It's Shark Week! 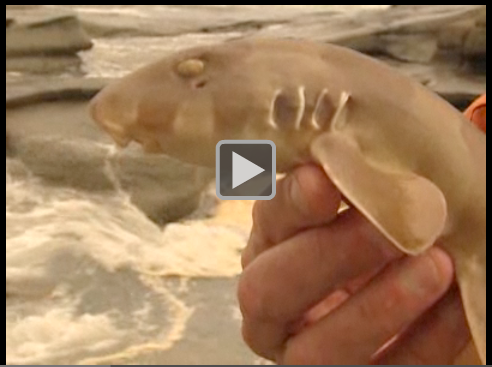 Yep, that's a tiny shark. See the video here. 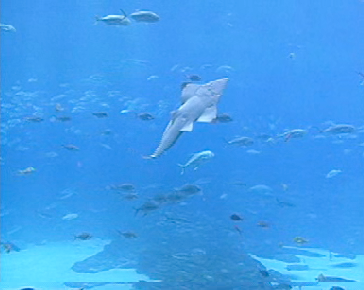 A shark on Georgia Aquarium's Live Shark Cam in Atlanta! IT'S SHARK WEEK!!! Sharks often get a bad rap for being human-preying monsters, but there's a lot more to this fish than what the media has depicted. The truth is there are hundreds of different species of sharks, most of them avoid humans and aren't looking to kill us (see the Discovery Channel's video where the host tickles a shark's belly! ), and they play a huge role, especially the large, overfished ones, in our ecosystems. To celebrate, here are a few types of sharks and their unique characteristics. Click on the related links to read more. A Pacific Angel Shark. Looks like a sting ray, but it's not. Image from Oceana. The Whale Shark - the biggest fish in the ocean! For a sense of its size, those are people to the right. A Tawny Nurse Shark. It's a nocturnal bottom-feeder. Image from Oceana. A Basking Shark - the second largest fish! It swims with its mouth open to collect plankton and tiny creatures, and filters out the water. 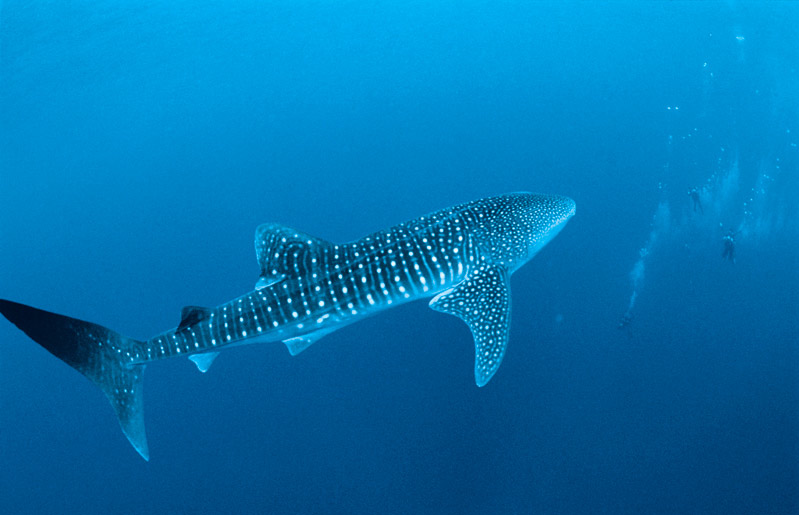 Read about the common misconceptions and fascinating characteristics about this marvelous fish, get facts about shark attacks that put them into perspective, learn about shark conservation, and see how to help end shark hunting. And for your daily distraction, here's a quiz to find out what kind of shark you are. See this video of surfer Holly Beck swimming with the harmless Whale Shark and the most feared Great White!